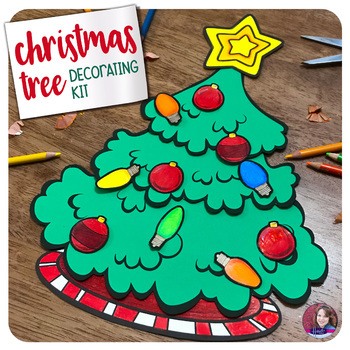 This Christmas Tree Decorating Activity Kit is a great way to keep your antsy little elves happily occupied with a creative activity. The Christmas Trees look fantastic on display. Students will be able to express their artistic talent and you will be able to accomplish those daily tasks that tend to creep up on teachers. These Christmas trees are just what you need for early finishers, a no-fuss craft, indoor activities, etc. 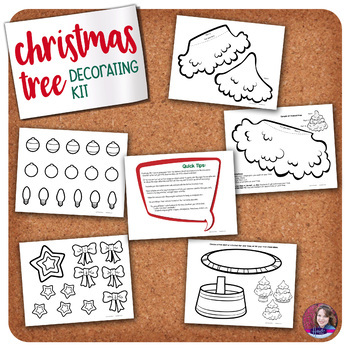 This set includes printables of all items pictured (a three-part Christmas Tree, various ornaments, bows, stars, and a choice of two tree bases). Do you need educational coloring activities for your students?